Ever since I was about three years old and discovered happiness was a 64 count box of Crayolas, it’s been easier for me to understand and absorb life concepts if I can draw them, or at least visualize them in tangible forms. Let’s just say if I had to draw my life out with crayons, it would look like Picasso chugged too many Cozmos… It’s a bit distorted, twisted, but undeniably fascinating, at least to the average suburbanite…. Yeah. I’ll save that story for a night when I’m alone with some Pinot. I feel that these are the three pillars of life balance. 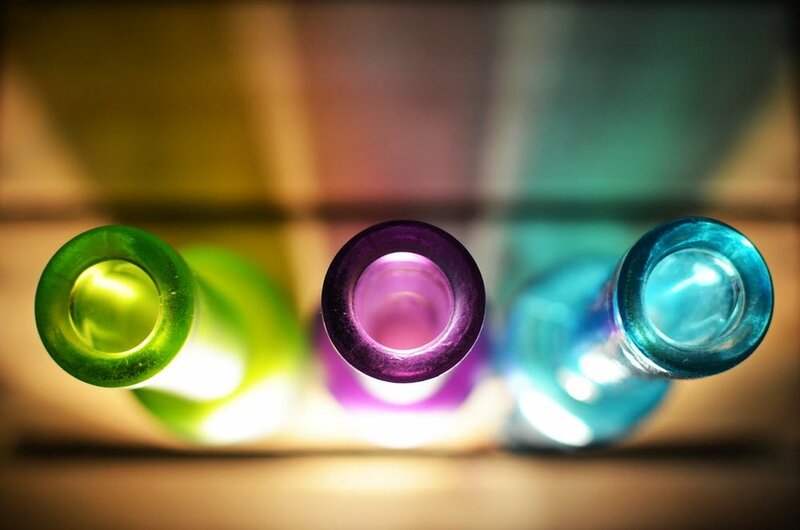 Although there are many more facets to life, they reside outside our personal vials. For example, my grown kids’ health and happiness are very important to me, but that is an outside facet. However, if I am balanced within my own vials, I am able to be more nurturing and supportive for them. All I do is take a mental “screenshot” of how I perceive these areas to be relevant to my lifestyle. And the relevancy is key—because it’s different for everyone, depending on how one measures their own success, love, and health. Of course the objective is the same, to be at 100% for each. When I visualize, I take into account any projected forecast of bad or good to come, which determines my next course of action. My health issues (pulled muscles) are very minor and I know they will resolve over the next few weeks with some therapy. For wealth, I’ve set some very steep goals over the next year, so I’m pushing myself super hard… And love, oh. I am truly, finally blessed. For the first time, this is abundantly full. I have found that having one vial at 100% mentally helps me improve on the other two, because it gives me that extra boost of purpose and confidence. So take a moment, and visualize your vials: How are they balancing out for you?